Whitehorse’s oyster house and casual dining room. 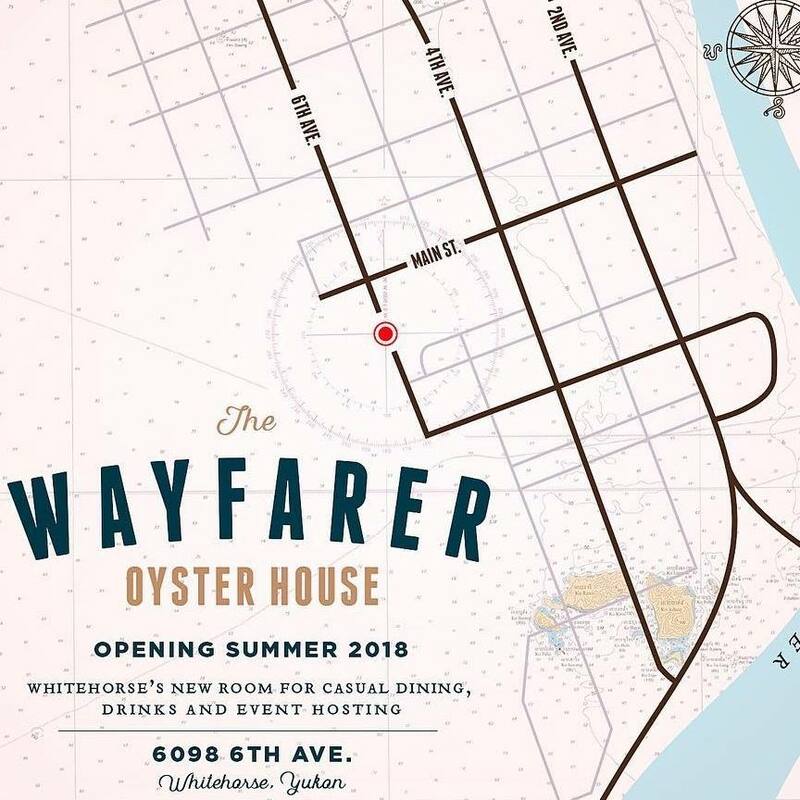 Nestled beneath to the clay cliffs and spruces just off Main street in Whitehorse sits the Wayfarer Oyster House. Walking distance from anywhere in downtown, this northern coastal dining room provides the Yukon with its fix of fresh Oysters, Yukon, Alaskan, and BC seafood, locally sourced meats, in house-made pasta and smoked fish, and a warm setting for libations. Whether gathering with friends to share a few appetizers or mains, or just looking to warm up with a bowl of seafood chowder, or looking to see what vinyl is spinning the Wayfarer team welcomes you! Reservations are not required, unless for full venue bookings or parties of 20 or more. Full venue costs vary by day of the week, include food and some drinks, full catering can be arranged.